Consolidating credit card debt can help you pay off some bills and improve your overall financial situation. The main goal with debt consolidation should be to lower your overall interest rate so you can pay off your credit card debt faster. Unsecured personal loans don't require collateral. These loans are sometimes called signature loans because your signature is your guarantee that you intend to repay the money. Home equity loans or home equity lines of credit (HELOC) use your home as collateral. Be careful about using this type of loan to pay off credit cards. If you default on a loan, you could lose your home. Loans can be taken from a 401(k) and you repay the money to yourself with interest. However, this is generally not a good idea for most people. Not only won't you earn interest on the funds you borrow, but you also could end up in trouble if you suddenly lose your job. If your employment ends, the loan would have to be repaid or you'd owe taxes on it. Peer-to-peer (p2p) loans have become more popular for people looking to pay off credit cards. Interest rates on p2p loans may be below credit card rates, and that may help you pay off your principal faster. Having good credit may make you eligible for a balance transfer credit card offer that you can use to consolidate debt. Using balance transfer credit cards can help lower the amount of interest paid. 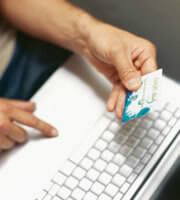 But low credit card rates of this type tend to last for only about six months to a year before they rise. Balance transfer credit cards also usually involve a fee for transferring balances. Transfer fees can add up to as much as 3% or more of the transferred balance. Read through the credit card terms of transfer offers very carefully to fully understand what's involved. The credit card terms should include the APR for the card after the balance transfer period has ended. Debt consolidation can help pay off debt. Keep in mind, though, that it's never a good idea to borrow money to consolidate credit card debt if your income still won't stretch to pay back the money. 0 Responses to "Credit Card Debt Consolidation"